Sustained population and employment growth will continue to underpin growth on the Gold Coast and strengthen its office market, predicts Knight Frank’s Gold Coast Office Market Overview March 2019. Although investment activity in the region was subdued in 2018, Knight Frank expects the tide to change with around $90 million in assets hitting the market in 2019’s first quarter, says The Urban Developer. 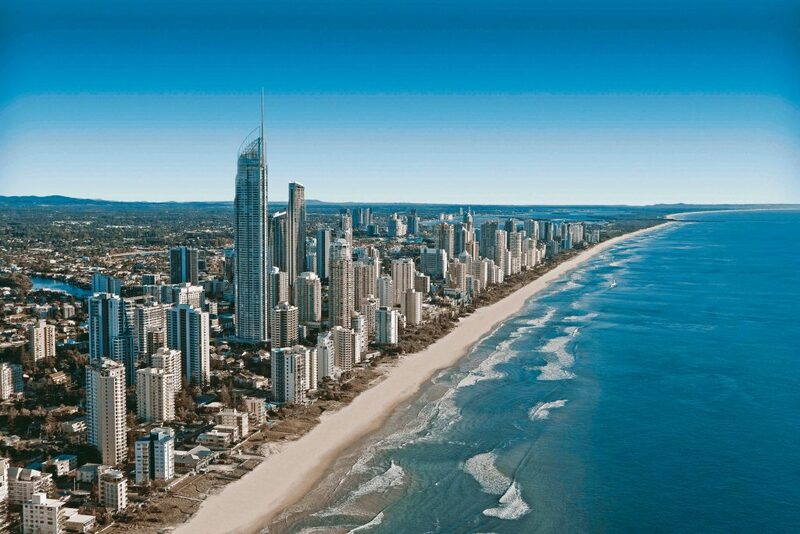 The office investment market on the Gold Coast, Australia’s sixth largest city, has traditionally been dominated by private investors and syndicators given the relatively smaller investment scale. But as confidence builds with a higher level of tenant demand and the depth of the market, the region is likely to appear on the radar for a greater swathe of investors, says Knight Frank’s Mark Witheriff. A growing core of larger corporates are locating in the region, including National Disability Insurance Agency, Mantra Group (Accor) and Wyndham Vacation Resorts and Asia Pacific. These larger corporates are attracted to the regions good public transport, green ratings, staff amenity and retention, and efficiency of floorplate, notes the report. “With only 37,500 square metres of supply added to the Gold Coast market over the past 10 years (9 per cent growth in the stock base) there is a relatively small pool of modern assets which can handle the higher employee densities required for major corporate branch offices, processing centres and call centres,” said Knight Frank Partner, Tania Moore. Total vacancy for the Gold Coast office market is 11.6 per cent, this after hitting 12 per cent mid last year. The Knight Frank report predicts population growth on the Gold Coast will average two per cent per annum over the 25-year period from 2016 to 2041, the majority of it coming from internal and overseas migration attracted to lifestyle and educational opportunities. Earlier this month, the AFR reported that Lendlease was appointed to deliver Gold Coast Airport’s southern terminal expansion, the next phase of a $370 million redevelopment of the facility as it prepares for a surge in passenger numbers expected over the next two decades. Chris Mills, chief executive of Queensland Airports, said Lendlease’s appointment was a significant step forward for the airport project, which would address capacity issues and pave the way for future passenger growth. “Gold Coast Airport looks after 6.6 million passengers a year, and this will more than double by 2037,” he said.